Bound and determined we were. Bound AND determined to leave La Paz for the holidays. 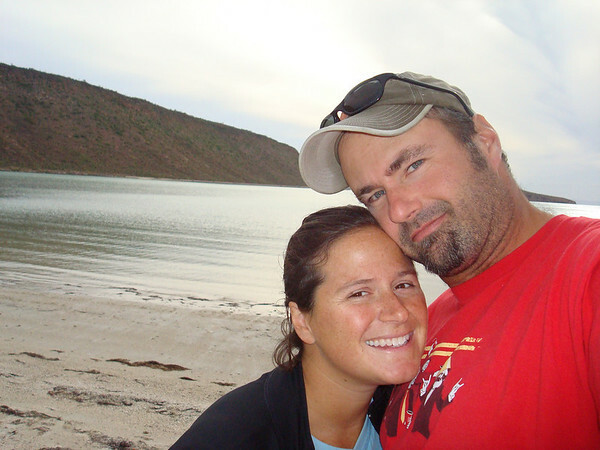 La Paz was great but we were ready to get out of the city and head north into the Sea of Cortez for the rest of the season. And leave we did. 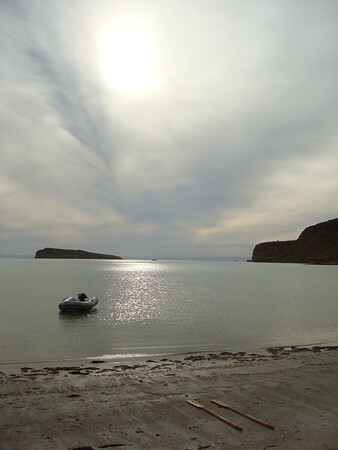 We finally made it out of La Paz and were on our way to experience the rest of Sea of Cortez. Woohoo! 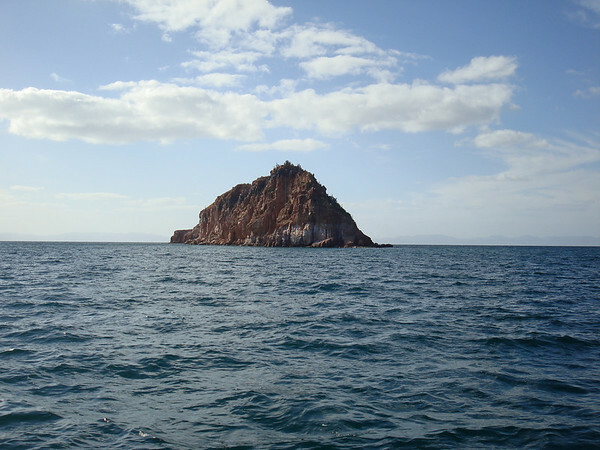 We sailed north for Isla Espiritu Santo and it's many great anchorages. We chose Puerto Ballena to anchor over Christmas while a big norther blew through. We spent Christmas eve and day by ourselves in a mostly empty anchorage. 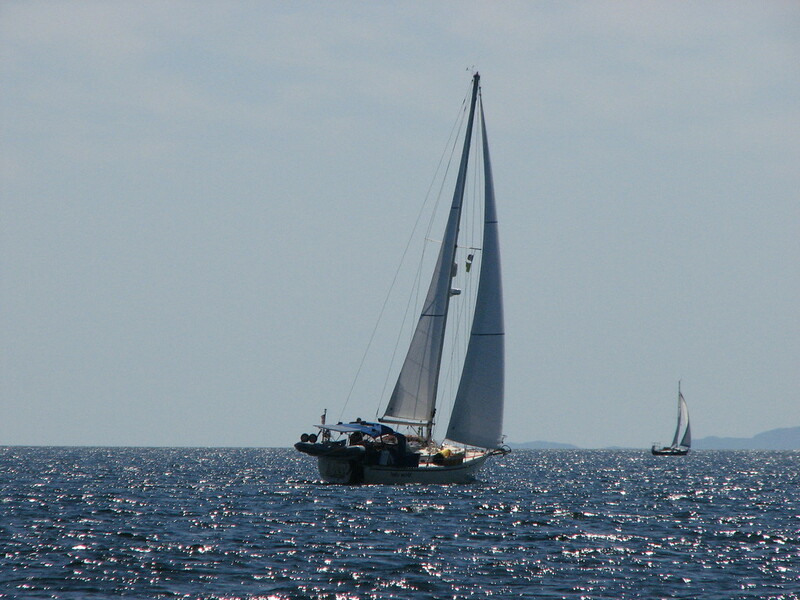 We read books on the foredeck, dinghied in to shore to walk on the beach and just generally lazed around. How is that different from any other day on Hello World? Well... ya got me there. From Puerto Ballandra, we headed north once again to Caleta Partida to meet up with Stepping Stone crew. We hung out with them and our new buddy Kevin from s/v Pahto for a few days. We did a little spearfishing with our new spear CANNON. I missed everything I shot at but Sarah borrowed the gun and blew a barn door open in the side of an unsuspecting surfperch. Poor guy never saw it coming. Elias and Kevin also borrowed it during a session of night spearfishing (not for me, thanks) and came home with a decent catch. From Caleta Partida, we said a sad farewell to Stepping Stone who set off for the warmer waters of the Mexican mainland. Hopefully, they will grow disenchanted with all the warm tropical weather, snorkeling, surfing and palm trees of the mainland coast and join us again one day in the Sea of Cortez. 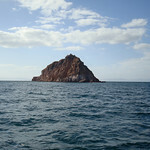 We departed Caleta Partida and ran up to Ensenada Grande, our favorite anchorage in the islands. After setting our anchor, we were sitting down below when we heard the strangest noise outside. This kind of strange rhythmic concussion on the decks and cabin top. We poked our heads up out of the boat to discover... WATER FALLING FROM THE SKY. I believe in other parts of the world, they call this phenomenon rain. We searched our brains and drudged up fuzzy memories of this, this... rain. This was our first rain on the boat going back to October of last year. Fortunately, the boat needed a freshwater bath so the rain was welcome. I can handle rain every three months or so. Head back to La Paz. Christmas Day in Puerto Ballena. Another good argument for never NEVER trusting your GPS in Mexico. 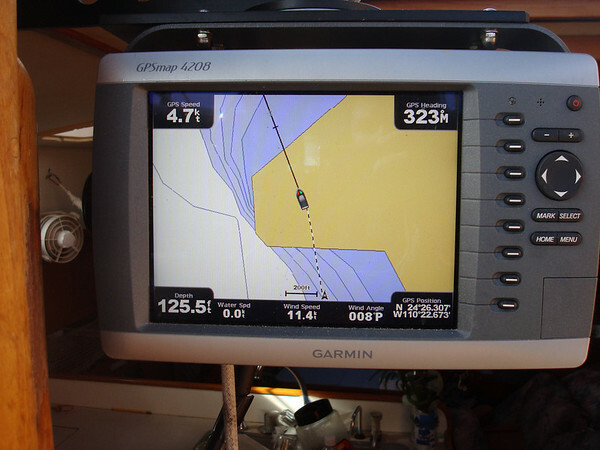 The charts down here are a bit like all the stop signs in La Paz, more of a guideline. 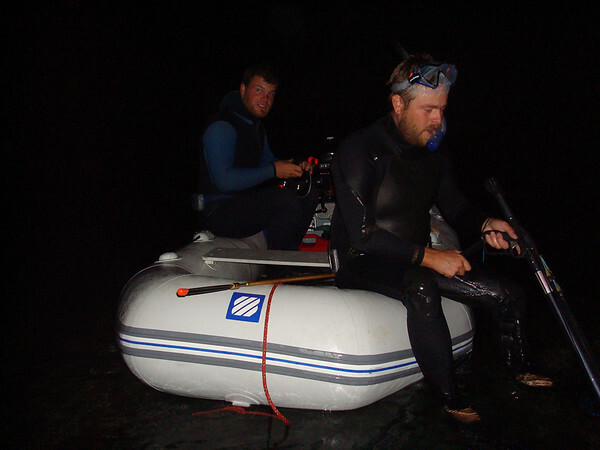 Elias from s/v Stepping Stone and Kevin from s/v Pahto doing some night spearfishing. 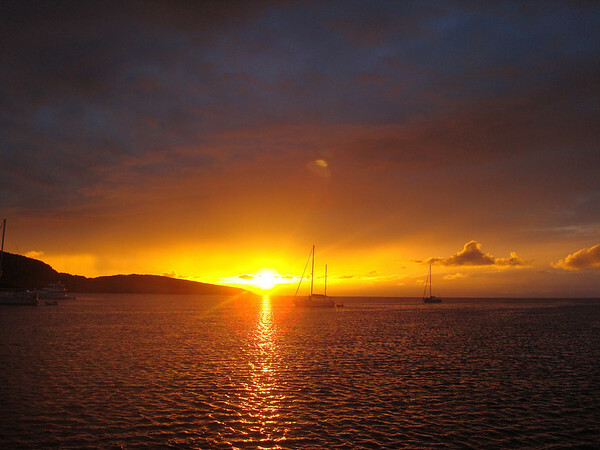 After the rain passed, we had a great sunset at Ensenada Grande. I had to laugh about a couple from the PNW not immediately recognizing rain. I hear you on the float switch.